Police and RCMP officers survey the area of a shooting in Fredericton, New Brunswick, Canada on Aug. 10, 2018. 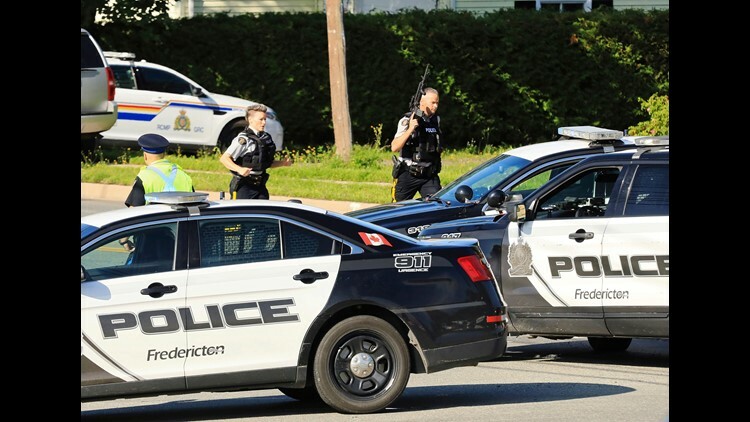 Fredericton police say two officers were among four people who died in a shooting in a residential area on the city's north side. One person was in custody, they said. 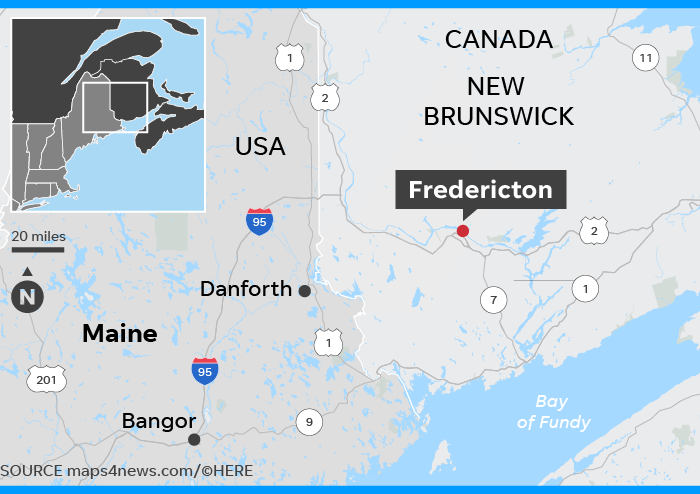 Four people — including two cops — were killed Friday after police investigated a report of gunfire in a quiet residential section of Fredericton in Canada's New Brunswick province, police said. The suspect was in custody and was being treated for serious injuries, police said. "Multiple victims" were being treated at a regional hospital, according to Horizon Health. Police Chief Leanne Fitch identified the slain officers as Lawrence Robert Costello, 45, a father of four, and Sarah May Burns, 43, a two-year veteran of the force and a mother of three. Police said the officers had responded to reports of gunfire Friday morning at an apartment building where they engaged the suspect and shots were fired, Deputy Chief Martin Gaudet told reporters. "Officers were responding to a shots fired call," he said. "On arrival, they observed some individuals, the civilian victims on the ground. That's when they were shot." A second group of officers arrived to set up a perimeter for several hours before they moved in to arrest the suspect. The two civilian victims were identified only as an adult male and an adult female. The circumstance around their shooting was unclear. Tim Morehouse, who lives in the apartment complex, said he heard two gunshots and then another three, CTV News reports. He said he heard someone yelling “Shut up! Shut up!” from outside. When he looked out of his window, he saw the body of a man lying on the ground in the back parking lot. Other witnesses said they heard as many as 20 gunshots following a confrontation that prompted police to initially cordon off a large section of the city with emergency vehicles and order residents to remain inside their homes and businesses. Robert DiDiodato, who lives near the scene of the incident, said he heard a series of "firecracker" noises at about 7 a.m., Canadian broadcaster CBC reported. "With the tempo, it might've been a gunshot. It was sort of like a pop, pop, pop, pop," he said. He said he heard similar sounds about five minutes later. "Doors are locked and everybody's inside," he said, according to CBC. Mayor Mike O'Brien said in a statement that "our hearts are broken by the murder of our two brave police officers. Their lives were lost while protecting ours." "In this time of shock and grief, our city will now protect their families and colleagues," he said on Twitter. Prime Minister Justin Trudeau said in a statement that Canadians were "shocked" by the news of the killings and said the country would not forget the two fallen police officers. "They did not think twice about what they had to do to keep their fellow Canadians safe," Trudeau said. "They were unflinching in their duty." Fredericton, the capital of in New Brunswick province, has a population of about 60,000. The entire province of New Brunswick had 11 homicides in 2016.